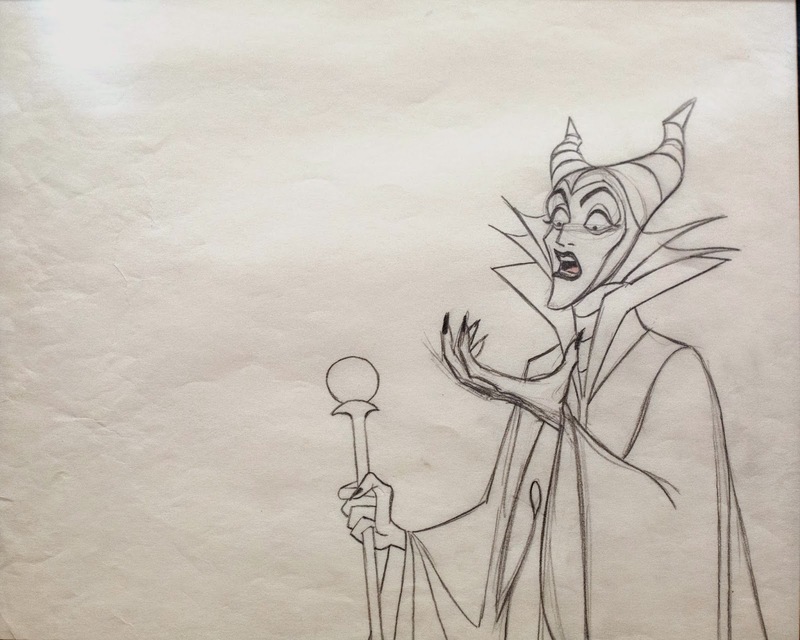 This is a powerful scene, Maleficent is in full control. Her curse has come true, Aurora touched the spindle and lies dead on the floor. The Three Fairies are too late. 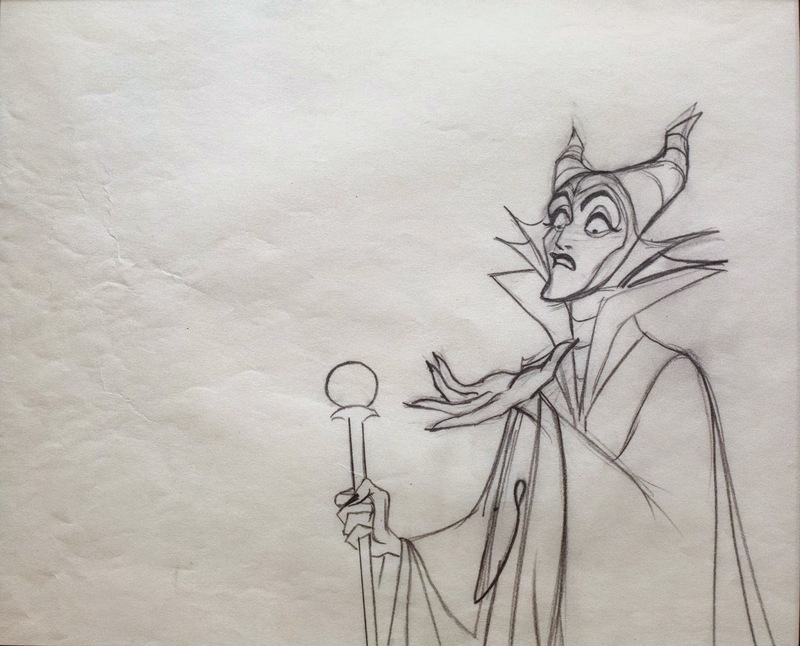 It is one of my favorite Maleficent moments, and Marc Davis gave the character a majestic but evil appearance. These are the drawings of a master at the top of his form. Her expressions are demonic, yet beautifully designed. And boy…do I love her oversized, expressive, claw-like hands. 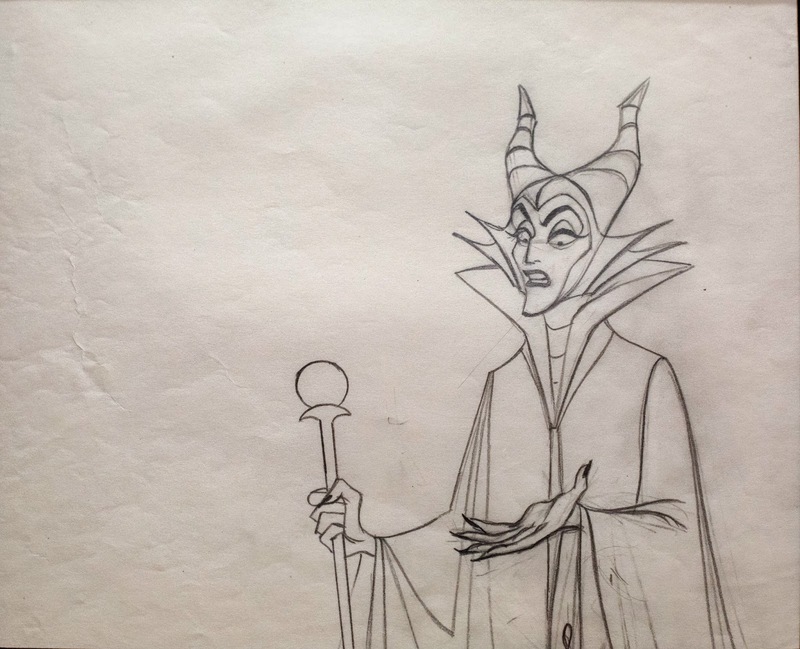 I will be talking much more about Maleficent and all of Marc Davis’ characters as well as his Disneyland designs and Fine Art at the Walt Disney Family Museum on Saturday, September 13. 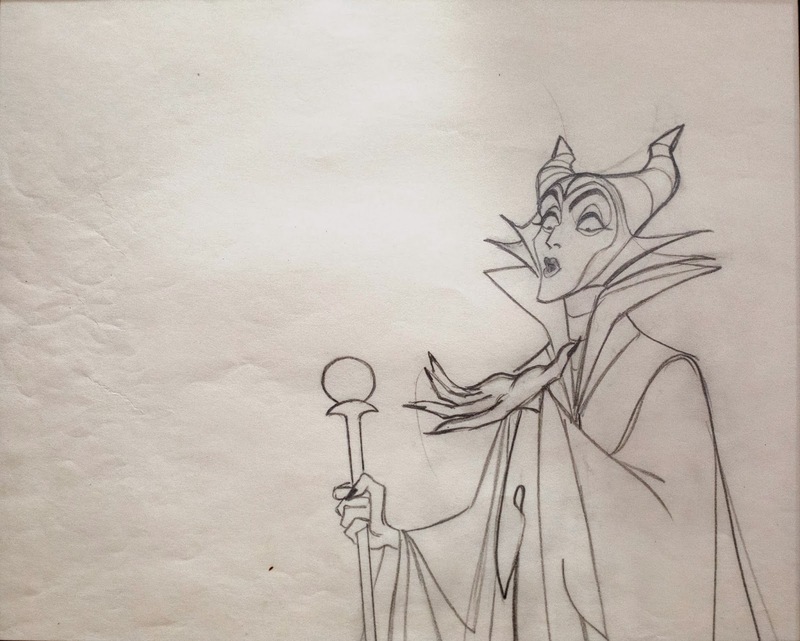 Bob Kurtz, animation artist and producer extraordinaire, who was a student of Marc at Chouinard Art Institute, will co-host this talk on the art of Marc Davis with me. It is an afternoon, I am very much looking forward to.